in a friendly and creative environment. Please check our food and drink page. We are happy to announce that there will be a French class starting soon at The Bank Arts Centre. For more information, please click here. The coffee house is open from Wednesdays to Saturdays from 10:30am to 3:30pm. 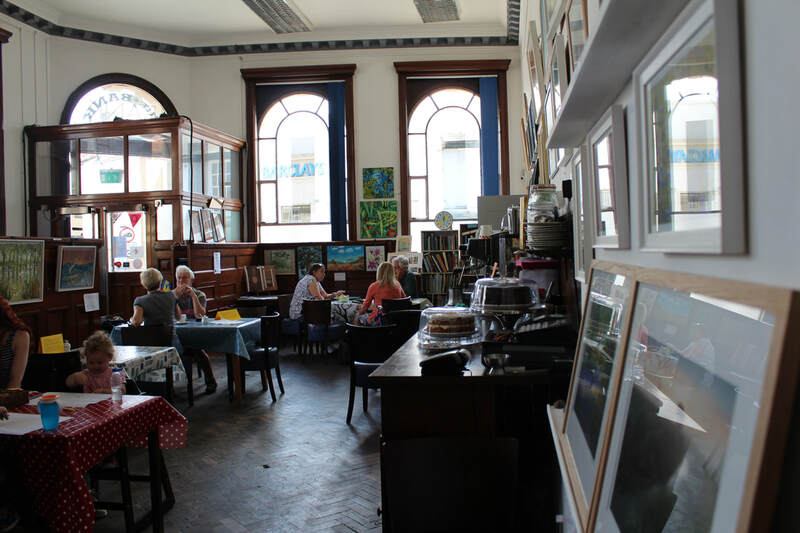 Great food, coffee, cakes and light refreshments in a friendly and creative environment. Check our food and drink page. The programme of Weekly classes for 2019 includes: Pottery, Printmaking, Shamanic Reiki, portraiture, Discovering opera, Shakespeare's plays, Spanish & Italian languages, Drawing, Music (piano, guitar, bass guitar and ukulele), and more. Our rolling events calendar keeps growing!! ​We are hosting FREE regular, changing art exhibitions. We showcase artwork from all over the world, as well as from our own local artists. Our aim is to create an environment where high quality artwork is accessible to all, whilst supporting established artists and emerging talent, both locally and around the world. A massive thank you to all those who share our vision and have pulled together to make the re-opening possible. A new core management team has been assembled and we’re looking to the future whilst learning from the lessons of the past. We would love to welcome you and we'll keep you informed of progress through the invaluable Eye-to-Eye and Eye magazine, this website and our Facebook page. We would like to extend our thanks to the Oaksmere, Harrison Edge, G. Shurey & Son Butchers, East Anglia Gas, Outflux Graphic Design and Mario Olmedo for their kind and much appreciated support.